It's back, for only for a limited time! 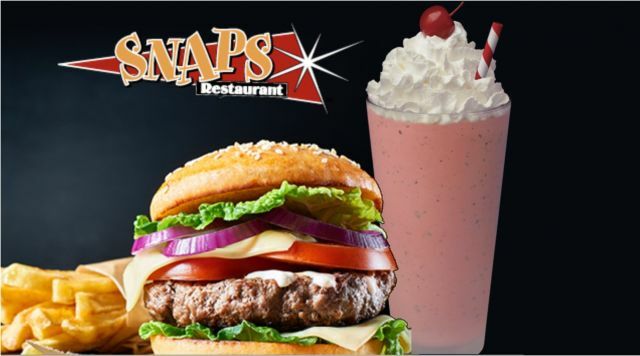 Snaps Everyone loves the perfect combination of burger+fries+shake. Ours is 1/2 pound of ground beef topped with lettuce, tomato, onion and cheese on a fresh bakery roll, served with a huge pile of hot crispy french fries! Add the perfect hand-scooped ice-cream milkshake and you have a perfect treat at a great price!